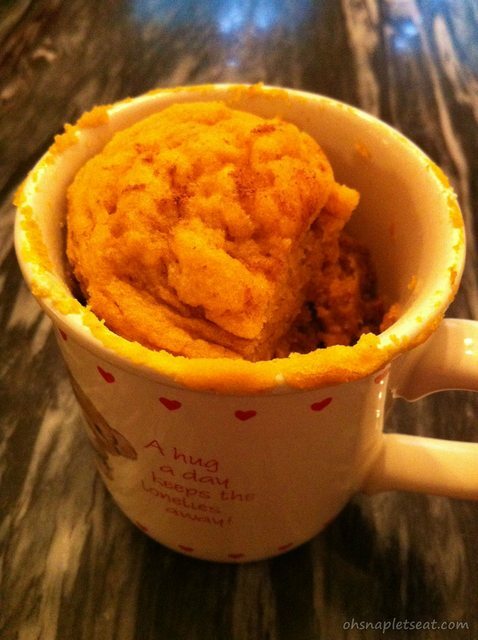 5 Minute Fall Dessert: Paleo Pumpkin Cake In A Cup - Oh Snap! Let's Eat! Remember that 5 minute paleo chocolate cake in a cup recipe?! 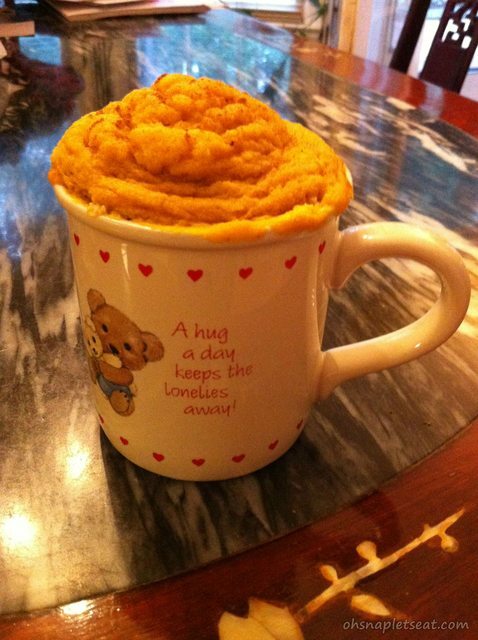 Now you can make it again… but pumpkin pie style!! Perfect (and super quick) recipe for the fall!! 1. 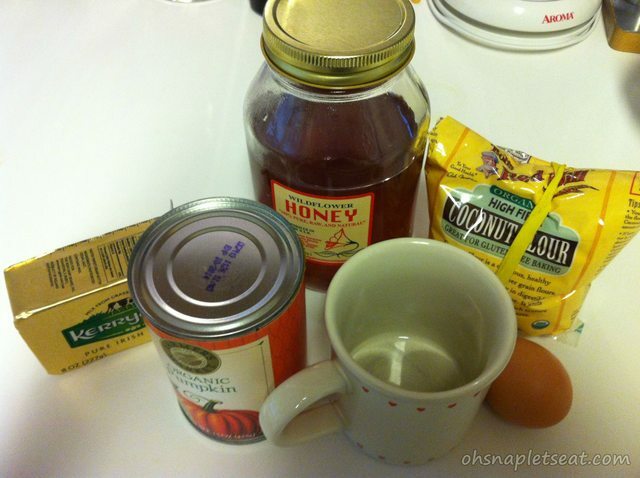 Throw all the ingredients in a mug. I recommend putting in the liquid ones in first so that all the coconut flour and such doesn’t become a big blob of hardness when mixing. 2. Mix it up! I used a fork, but you can use whatever. If you want to use a hand mixer , I would recommend NOT mixing it in the mug or else it might make a huge mess. 3. 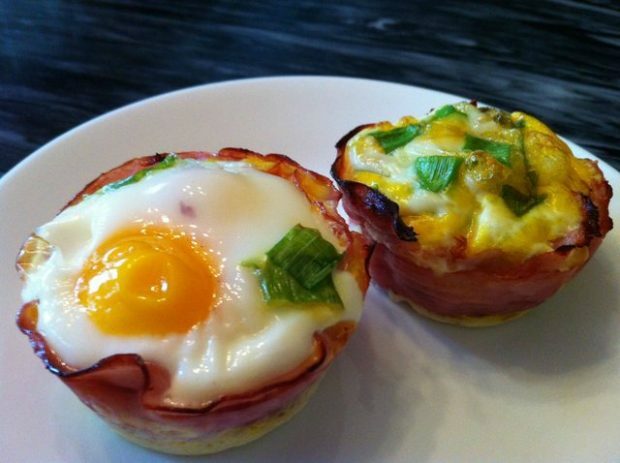 Pop it in the microwave and heat it for 2 minutes. 4. Let it sit for a bit so that it can (1) cool down and not burn your tongue off and (2) for it to be less moist. 5. 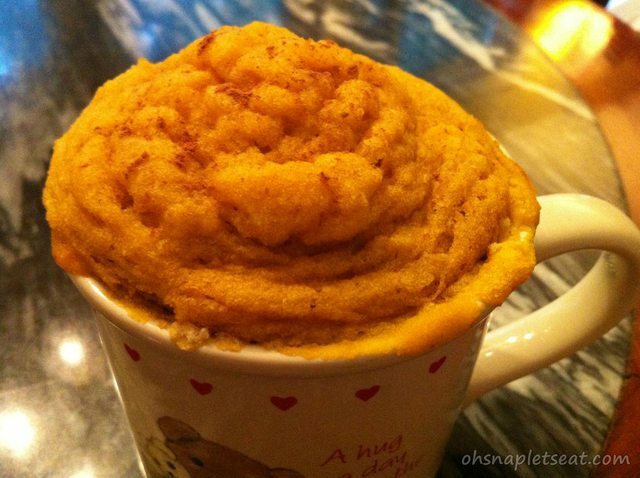 Now you can enjoy your awesome fall pumpkin cake that you just made in less than 5 mins! Paleo and Gluten Free Cookies - 4 ways! Pingback: 5 Minute Dessert: Paleo Chocolate Cake In A Cup | Oh Snap! Let's Eat! Yum! This looks fabulous! 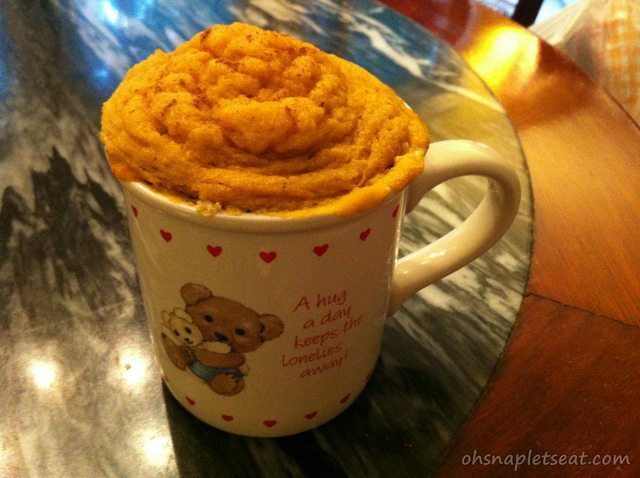 I love desert in a mug. Is that TBSP or TSP of honey? TBSP! I will clarify. Thanks! 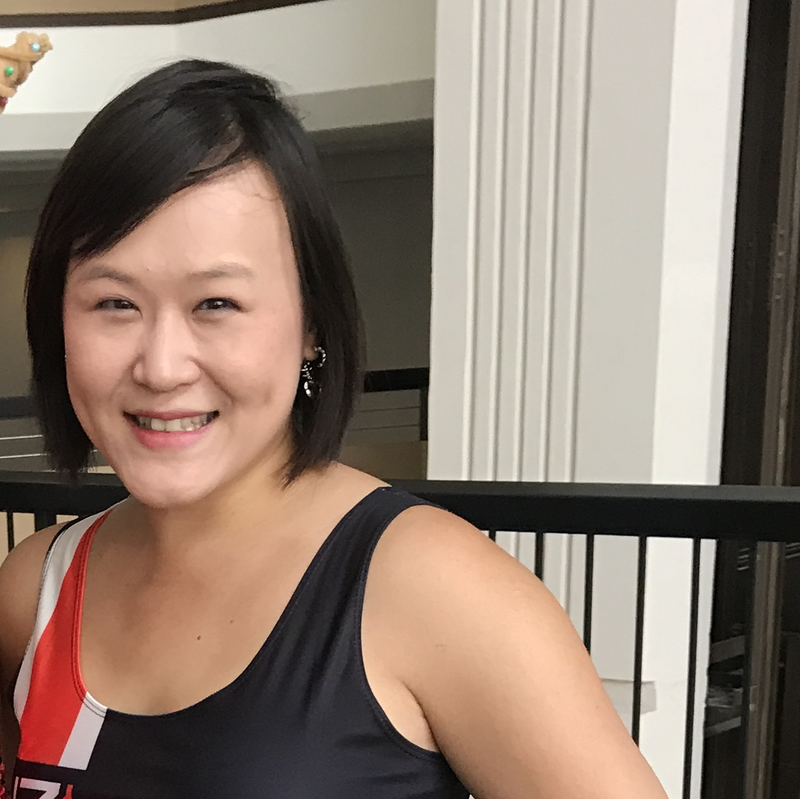 Pingback: Paleo Thanksgiving Desserts: Make One, Make All! 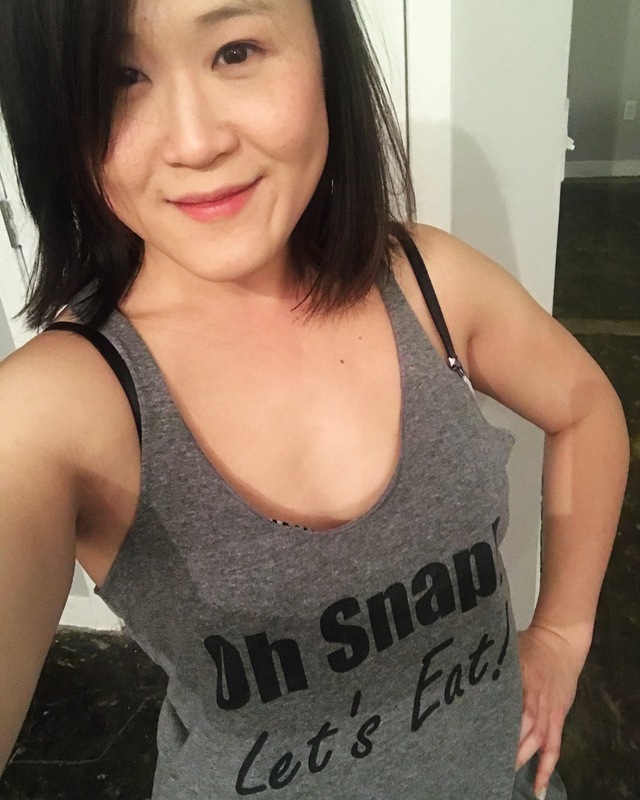 | Oh Snap! Let's Eat! I just have to thank you for making recipes like this one that don’t have any almond products in them! I am trying to be as strict paleo as I can, but it’s extremely difficult since I’m very allergic to almonds. Aww, thanks for checking my recipes out! I like to not stick with only one type of paleo friendly ‘flours’ so I mix it up from time to time :) Btw, if you like this one, another coconut flour one you can try is the chocolate one (http://ohsnapletseat.com/2013/03/04/a-paleo-dessert-cup-of-chocolate-cake/) :) Thanks for stopping by! Coconut flour doesn’t even need sweetener to taste good! 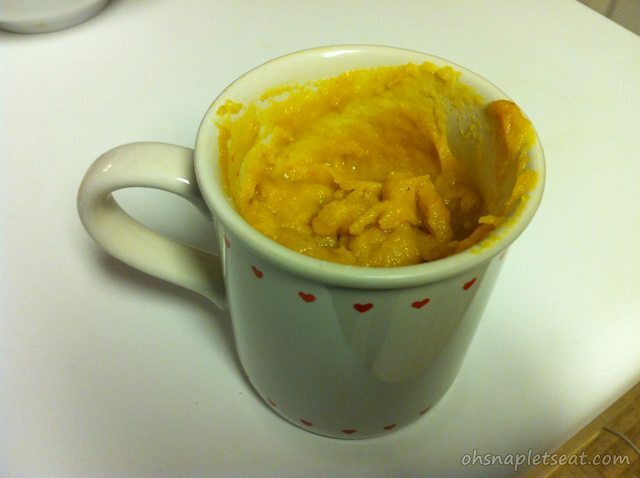 Tried the pumpkin pie in a cup. Yumola! Next time I will use 1tbsp honey (2 was just a little too sweet for me) and I added 1/4 tsp cloves and topped everything with a dollop of vanilla Iice cream. The cup is super hot so the advice of waiting for things to cool down is paramount. I think I’ll add some pumpkin seeds and hemp hearts for more texture. 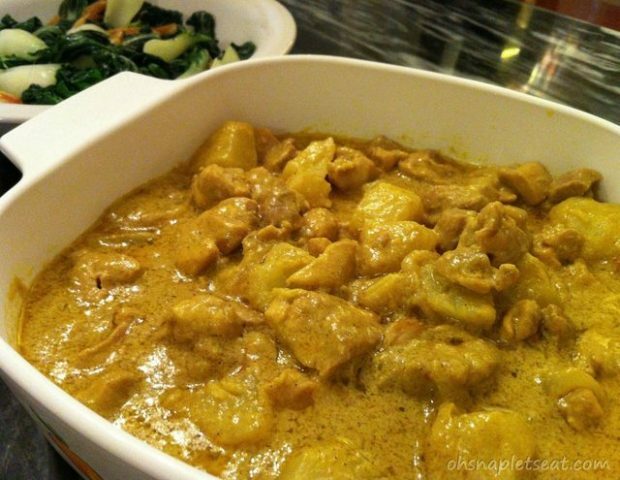 Great recipe!!!! Thanks for posting. This was sooo good! Thank you! !